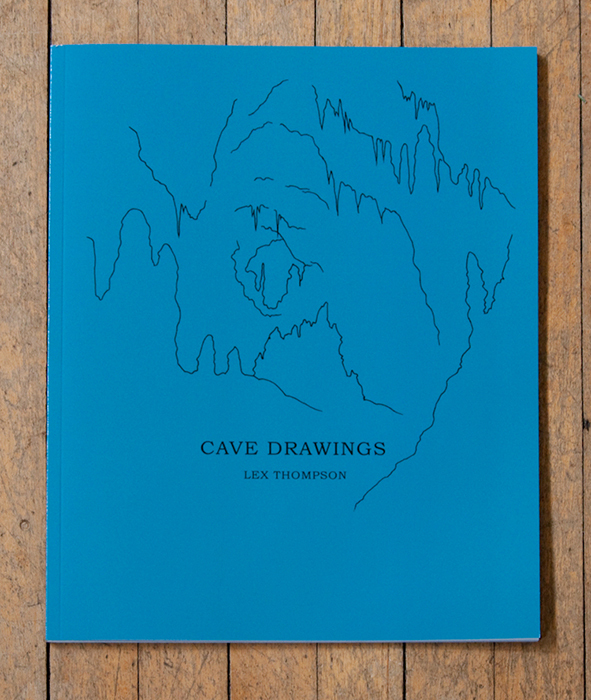 Lex Thompson's work first caught my attention when a copy of his book Cave Drawings came across my desk at photo-eye several years ago. Print-on-demand publications came through often, but few were as inventive in design as Lex's book. Over the years I have continued to be intrigued by the artist's efforts. From the printer, the design and the content, each book is a completely unique object, showcasing the appeal of the self-published book that many artists are exploring. Having examined many of the avenues of independent publishing, Lex brings an essential voice to the dialogue we have begun to create here, while also bringing a fresh perspective on how to approach actualizing a self-published book. 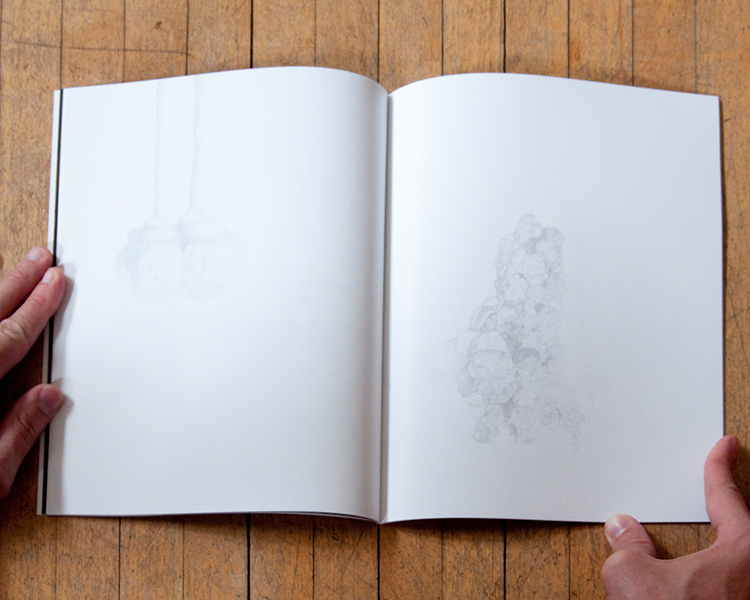 Previous installments of Independently Published Photobooks include conversations with Christina De Middel and Paccarik Orue. Antone Dolezal: You have self-published a number of books over the past decade. What is it about self-publishing that continues to intrigue you and suit your work? Lex Thompson: There are a lot of attractive aspects to self-publishing like maniacal control and setting your own timetables, but the thing that suits me most is the ability to do projects that don't really fit into a traditional publishing model. 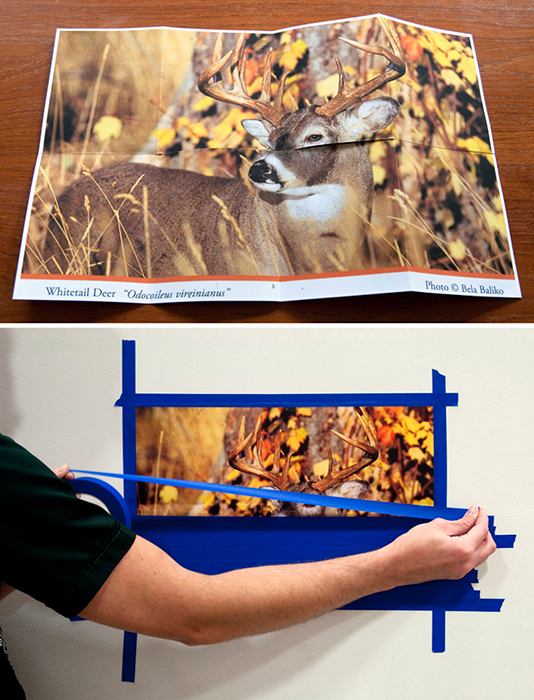 For instance, DEER BLIND is an 8-fold book, meaning it's a single sheet of paper that folds up into an eight page book. 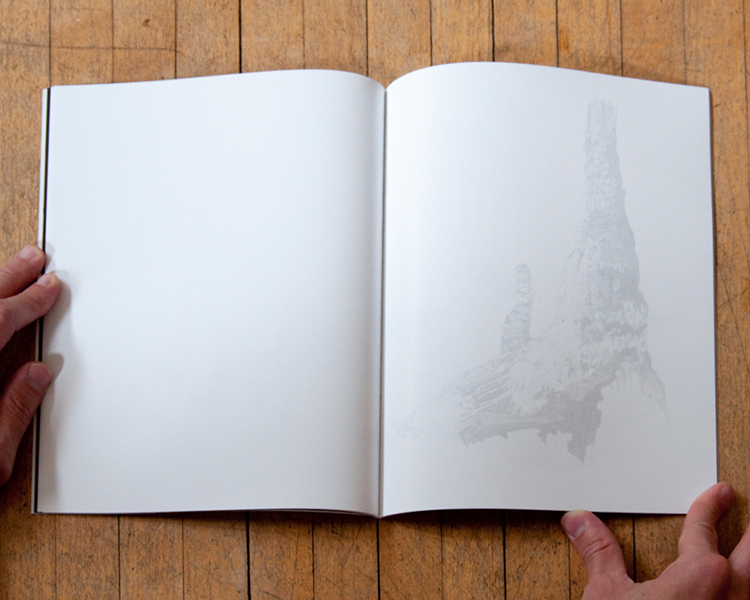 It's printed on both sides, so it can be unfolded to reveal a large single image on the back. It's a small concise idea in a very short book – not the kind of thing most publishers would be interested in taking on. AD: Many photographers work on a project for years before deciding to publish it as a book, but your work seems as though the book is the first concept and then the images fit into that initial conceptual design. What is your process of deciding how to publish in the book form? How does that process evolve? LT: I have work that fits into both camps. All Our Pleasant Places and Mahalo are sprawling projects that I worked on over many years. I generally thought of those as one day becoming traditional monographs, and would still be interested in taking them that direction. But, the books I have made have always been of a different nature. They are more contained, a smaller number of images. They are a few sentences or maybe a paragraph, rather than the long-form essays of my other projects. As for the development of these ideas, I don't really preconceive of them as books. The images just start off as images, but usually as I am making them the book form becomes a way of structuring the project. It's the grammar of the work. 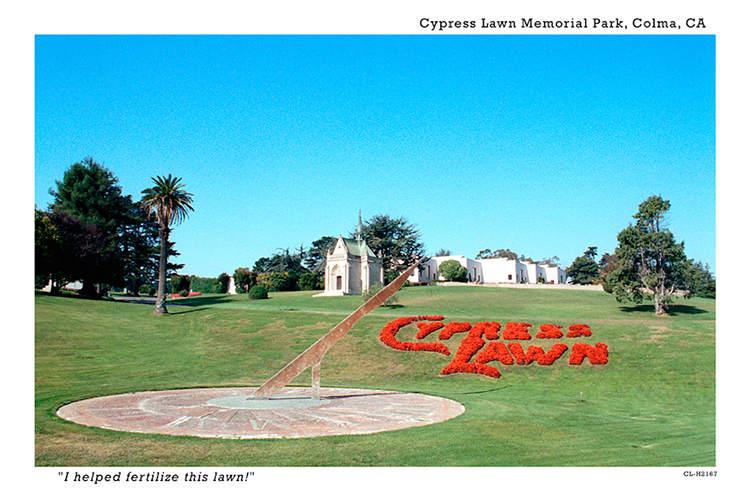 For instance, when working on Greetings From Colma, I starting making the photographs assuming they would be prints to hang on the wall, but as I continued photographing the graveyards and flower shops, it became clear that something else was necessary to articulate the memorial nature of the city and the curious cultural ethos of the landscape. 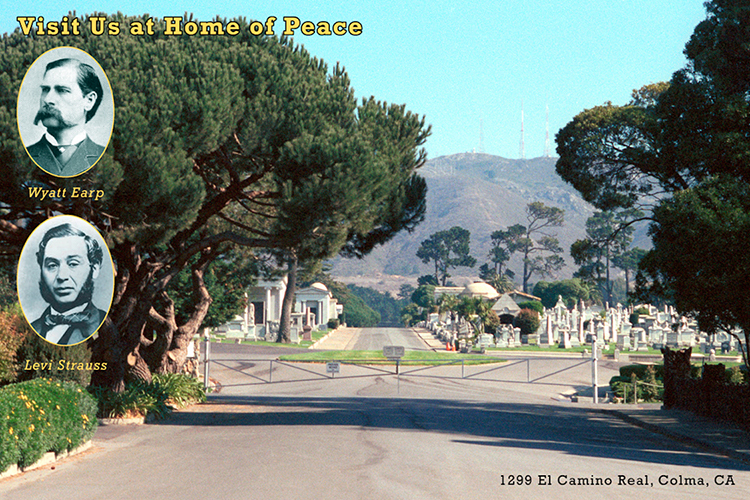 Turning the photographs into a series of postcards completed the images and imbued them with a content connected directly to Colma as a destination and a memorial. AD: You have published in a variety of formats. Which printers have you used and how do you choose a publishing press for your books? 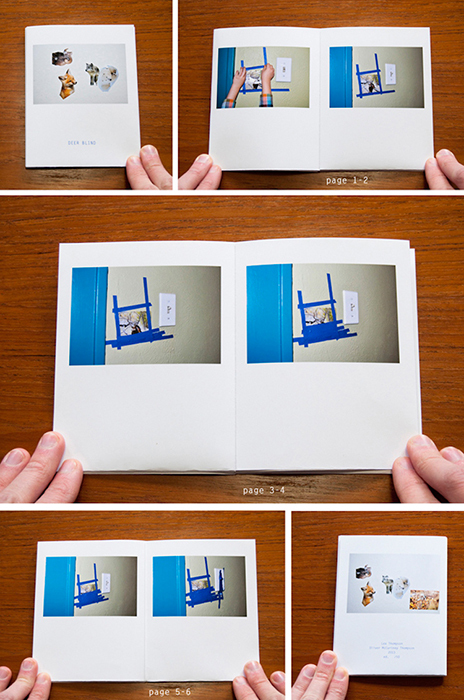 LT: Target is more properly an artist book, with only an edition of seven, that I printed and bound myself. The detail and labor required in this kind of work always limited my edition sizes. 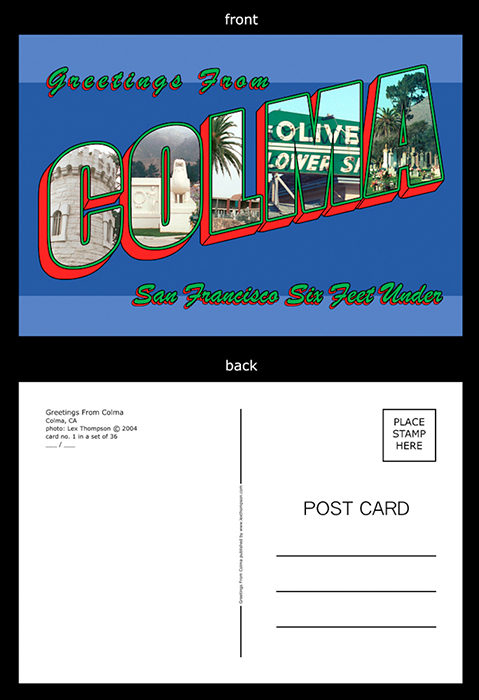 Greetings From Colma is composed of thirty-six postcards, so I had them printed by Nomad Printing in San Francisco, who I'd worked with before to print exhibition announcement cards. The decision was really about making the objects feel like, and actually be, what they were putting themselves forward as. As a result, you can stamp them and put them through the mail, and I've sent them to exhibitions that way in the past, one stamp at a time. 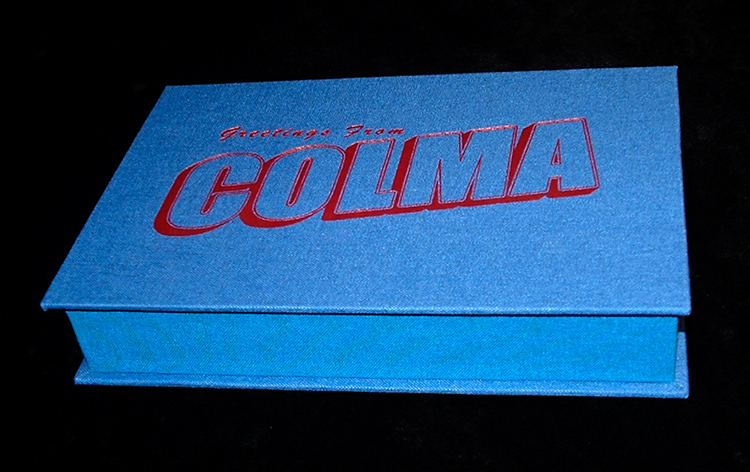 The envelope and box case for the sets are additions that I built by hand. 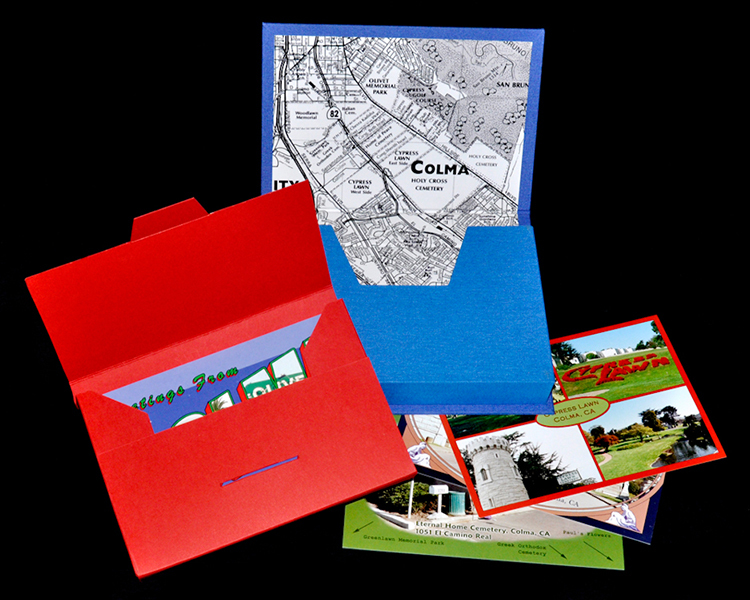 It was important for me to have the cards not be precious objects but paper momentos, so I needed lots of them. Cave Drawings was my first venture into completely letting go of my hand in the process of manufacture. Print-on-demand had come into it's own as a viable method, and the book didn't require the extra trappings. I printed it through Magcloud, but I did the whole edition at once to limit the printing variation between books that sometimes plagues print-on-demand books when ordered in separate batches. Since I was using a more specialized structure in DEER BLIND, I used a local printer, who had printed some of my partner Paula McCartney's books. They were able to make the dies to do the cutting and folding that the 8-fold requires. And, using a commercial printer allowed me to do an edition of 500. Which would have been a prohibitive volume for printing on my own. AD: In what ways does publishing photobooks help you to achieve your personal goals as a photographer? LT: Getting the work right is my central goal as a photographer, and sometimes the books makes finishing, conveying, and encapsulating the idea possible. Secondarily, they help to disseminate the work, making it relatively affordable and accessible to a larger number of people, which is important, since artwork that no one sees or experiences can't very well meet any sort of goals. So, I like the book as a way of increasing availability, especially when that vehicle of transmission can embody or augment the work in a meaningful way. AD: I noticed that your books are in a number of independent bookstores. Other than finding distribution, how do you go about promoting the books once they are published? 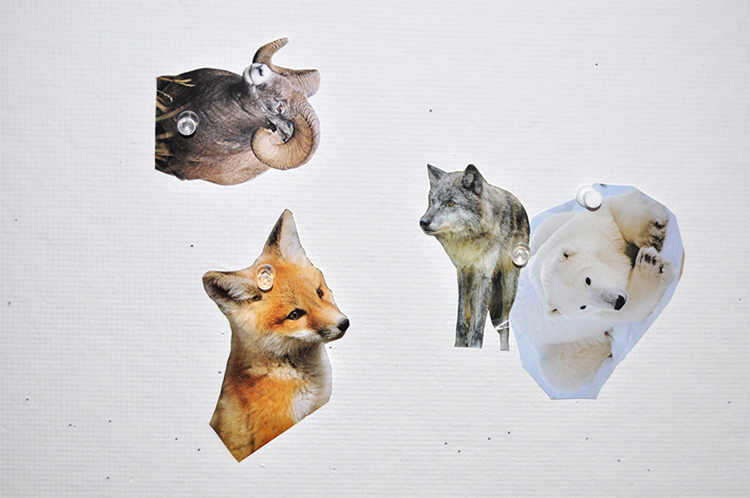 LT: When I first started making artist books, I began a relationship with an artist book dealer who places works in museum and university collections. I've continued that relationship into the more recent larger editions. For the self-published book, I send the work regularly to exhibitions and competitions, place the books in libraries, and let social media do all the things that it does towards reviews and linkages around the web. I'm certainly not as skilled at this aspect as I should be, but word has a way of spreading quickly among what is still a relatively small audience, mostly looking to the same places to find out about new work. 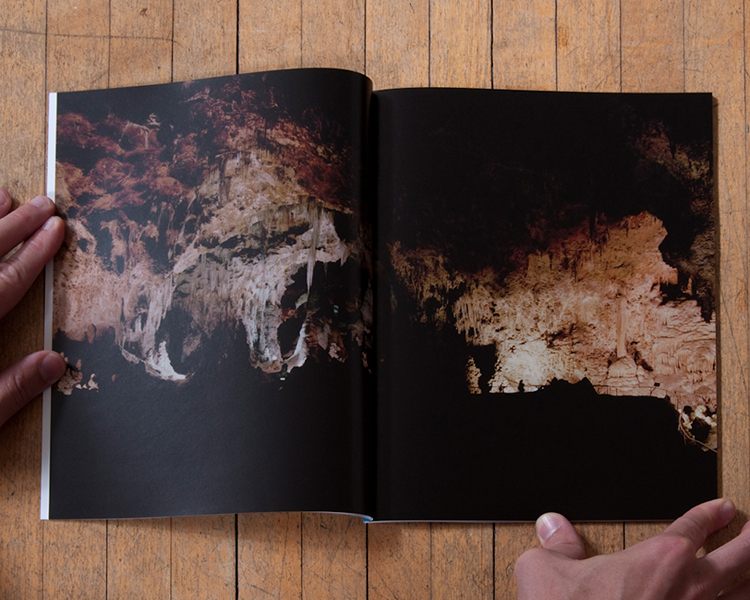 AD: I think the book of yours I am most drawn to is Cave Drawings. Aside from the book format, I envision this work presented equally well in an exhibition space. Would you tell us about this project, how it became a book and if you have transformed this into a show? LT: Cave Drawings was a different sort of development from the other books. 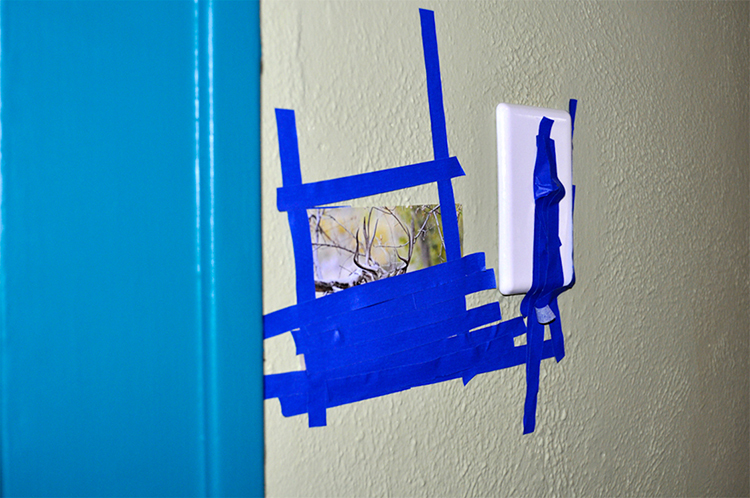 I originally made the photographs with intentions that were not met by the resulting images, so I put them aside. A couple of years later, I had begun to incorporate drawing into my practice as a way of dealing with the limitations of photography and my limitations as a photographer. I returned to these photographs that I previously experienced as insufficient. Bringing them into dialog with a new series of drawings raised the question I've been having about photography as a mode of representation and the ways it might be augmented by other methods of depiction to create a more complex way of knowing. And, ever so conveniently, the subject of the cave came with it's own set of preloaded Platonic notions dealing with the same ideas. I have also presented the work in an exhibition. The photographs hung in the usual way on one wall while the drawings were placed opposite of them in a vitrine, like scientific specimens. Having the two modes of depicting the caves on opposing sides of the gallery made it so that one could not really examine them at the same time. You had to take the information from each and assemble or relate them through your memory, much the same way that you might have to when you turn the pages of the book. AD: Do you have any advice for artists considering self-publishing as a route for creative expression? LT: There are lots of books being made now, which is good. It also means that distinguishing yourself in the terrain is more difficult. I think the key is to make books that need to be books, rather than just being a bound print portfolio. Don't make it a book if it should really be an exhibition. Some work is great on a wall and on a page, but the books I really like transform the work by being a book. So, if it's a book, make a book, but don't expect to make any money. AD: What other book artists inspire you? What are you looking at now and where do you see the trend of self-publishing going? LT: As a way of narrowing the field, I'll say that I sometimes write about the work that really holds my thinking hostage. This has included Jason Fulford's The Mushroom Collection (an accompaniment to his Minneapolis Institute of Arts exhibition), Taryn Simon's Birds of the West Indies, Simen Johan's Until the Kingdom Comes, Mårten Lange's Another Language, Mishka Henner's Astronomical, and The Spooklight Chronicles you did with Lara Shipley. All of these works are ones I still think about regularly and pick up again. I'm not sure I have the prognosticating chops to speak to the future trends of self-publishing, but I think the continued improvement in material quality and options along with a growing sophistication of both artists and readers make the means of production well worth participating in. AD: Would you share with us what you are currently working on? 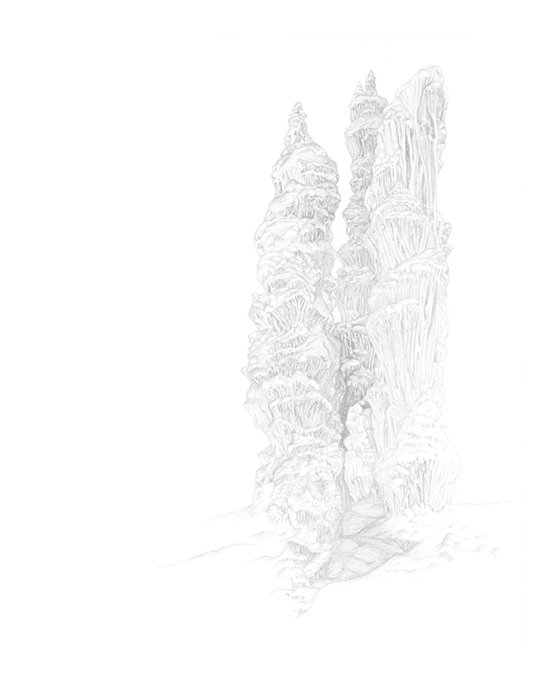 LT: I am currently experimenting with an e-book for my project Frame Drag, so that I can include the videos, animated gifs, photographs and drawings that compose the project in one natural, coherent environment. There's some technology and other challenges with this that I haven't had to deal with before, which makes it a little daunting but also opens up options I can't get out of a static printed page. I'm also working on a set of drawings for a publication, Drawings of Background Objects Seen In TV Shows that will be published this summer by Mystery Spot Books, a great publisher of photo and art books that I have worked with in the past. Lex Thompson's work focuses on manifestations of hope and failure in the American landscape. Obtaining a BA in history at New College of Florida and a MA in Religion and Visual Arts at Yale University, he received his MFA in Photography at the San Francisco Art Institute. He is Professor of Art (Photography) at Bethel University in St. Paul, MN. He is recipient of a 2010 McKnight Artist Fellowship for Photographers, a 2008 & 2011 Minnesota State Arts Board Artist Initiative Grant, and was selected as a 2009 Flash Forward Emerging Photographer and shortlisted for the 2014 Source-Cord Prize. His artwork is included in collections at the Getty Research Institute, Museum of Fine Arts Boston, Museum of Fine Arts Houston, Stanford University, University of California Los Angeles, and Yale University, among others. Antone Dolezal was raised on the eastern plains of Oklahoma and currently resides in Santa Fe, NM. His photographs explore the American social landscape and its relationship to history and folklore and are often accompanied by vernacular imagery, found objects and fictional literature. 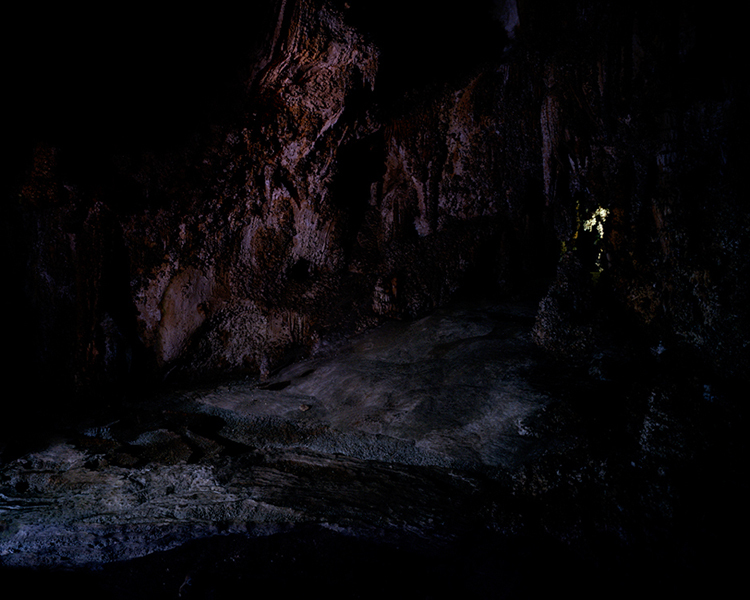 His work has recently been exhibited at the Santa Fe University of Art & Design, photo-eye Bookstore + Project Space (Santa Fe), Rayko Photo Center (San Francisco), 555 Gallery (Boston), among other venues. Antone’s photographs have been featured on National Public Radio, Oxford American, Photo District News and Mossless Magazine and his prints and books are held in various collections including the British Library (London), Marion Center for the Photographic Arts (Santa Fe) and the Museum of Contemporary Photography (Chicago). 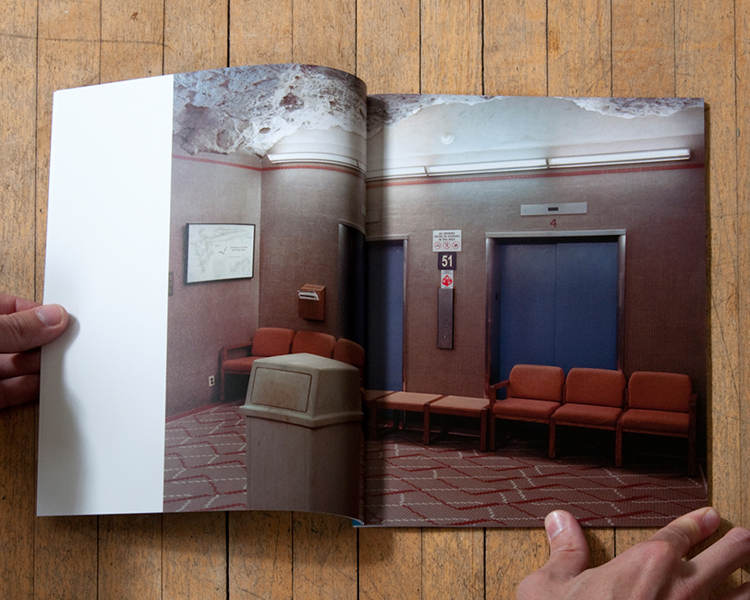 Alongside collaborator Lara Shipley, he has published Spook Light Chronicles vol. 1-3. Vol. 3 and the SLC Limited Edition Set are available for order.